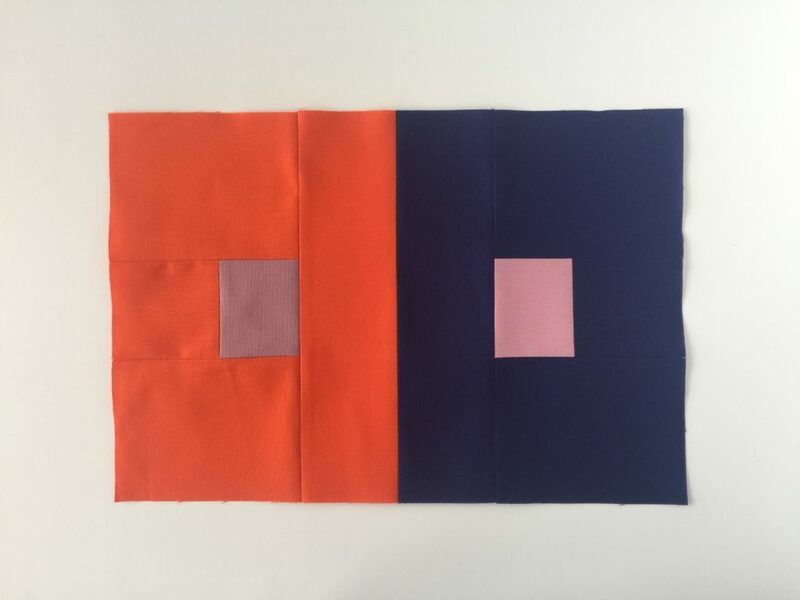 I spent my sewing time this weekend doing some exercises from Josef Albers’ Interaction of Color. There is something very relaxing about playing around with color for its own sake without worrying about how it might feed into a specific pattern or creating some larger finished project. … though of course, in the end the exercises sparked tons of other ideas. I wanted to sew but I didn’t want to fuss over print combos and lots of different measurements. I like the idea of improvising but don’t 100% love the results I seem to get with improv blocks. I wanted to open up some space in my brain but I didn’t really want to think too hard. 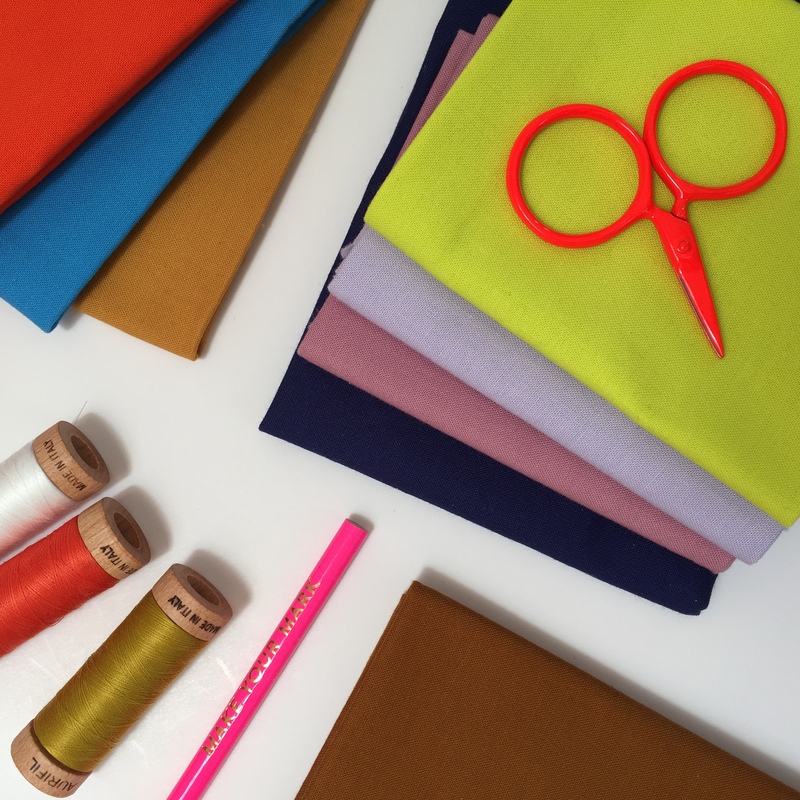 These exercises (executed in fabric instead of paper) were just the thing. And you know that weird pile of random solids you have? The one about which you sometimes wonder, why did I buy these colors, and will I ever use them? This is a perfect way to use them up. 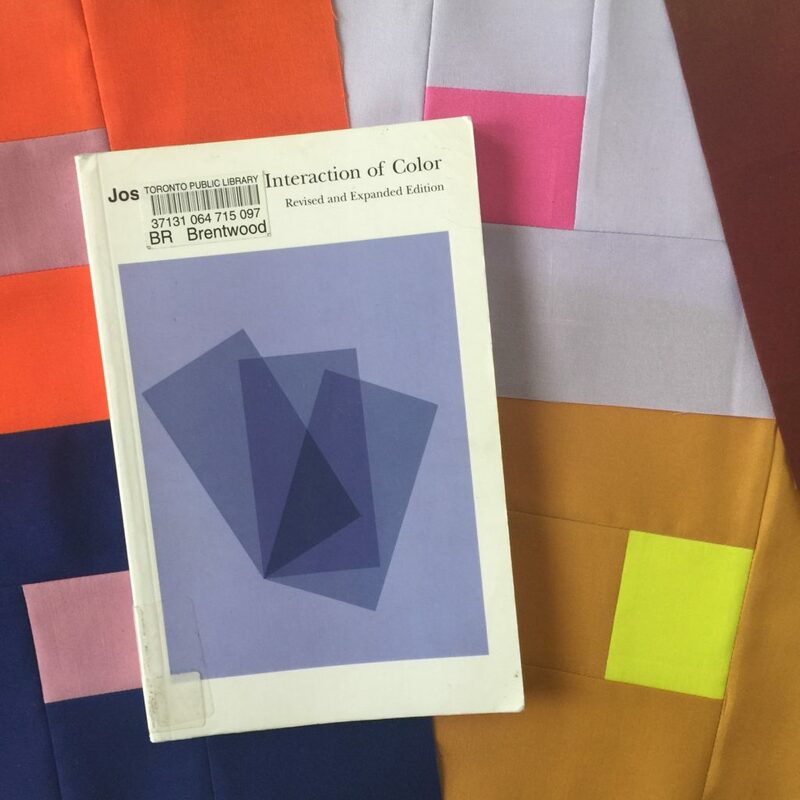 I wrote up some instructions for the simple block that I made based on Chapter 4, which is all about experimenting with how colors influence one another. 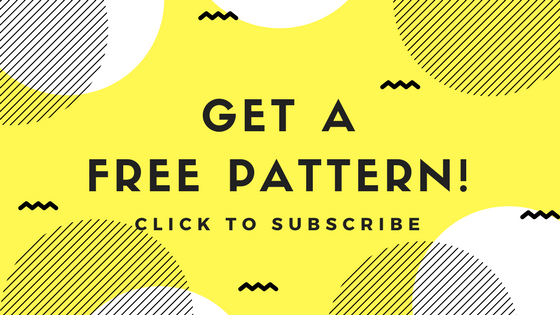 Click here for the pattern, and if you try the exercise, let me know how it goes! 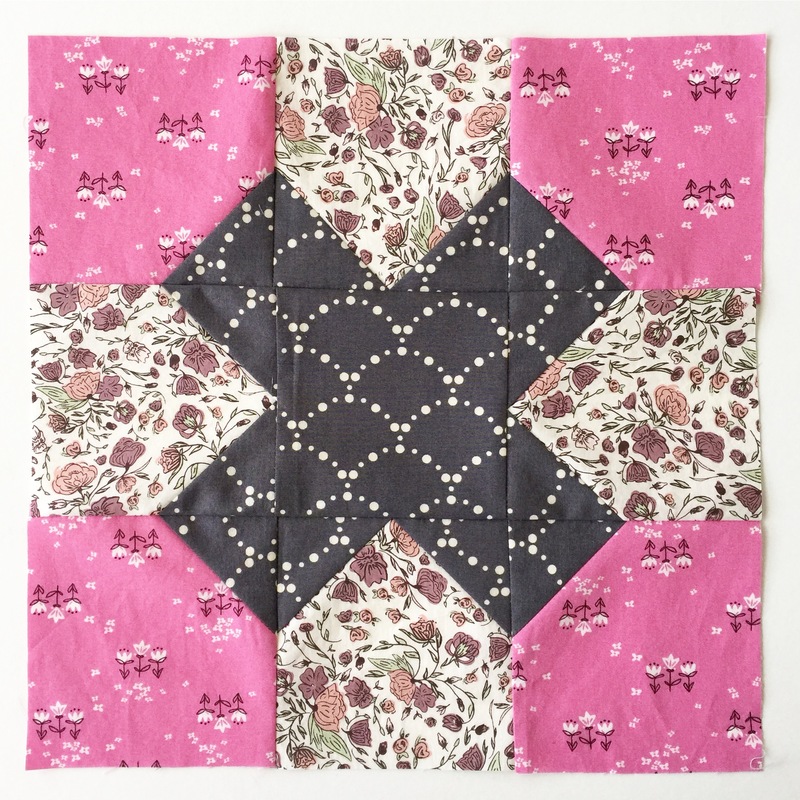 Back when I first started quilting there was no Instagram, and Flickr seemed like the online place to be for quilters. There was so much inspiration in all the different groups, and I found the bee hives particularly fascinating. (And can I just add? With its group photo albums/tagging and per-group discussion boards Flickr was particularly well set up to host these kinds of groups.) I wanted to be part of one of these groups but it was a complete mystery to me as to how they had formed and how one could get in on the action. 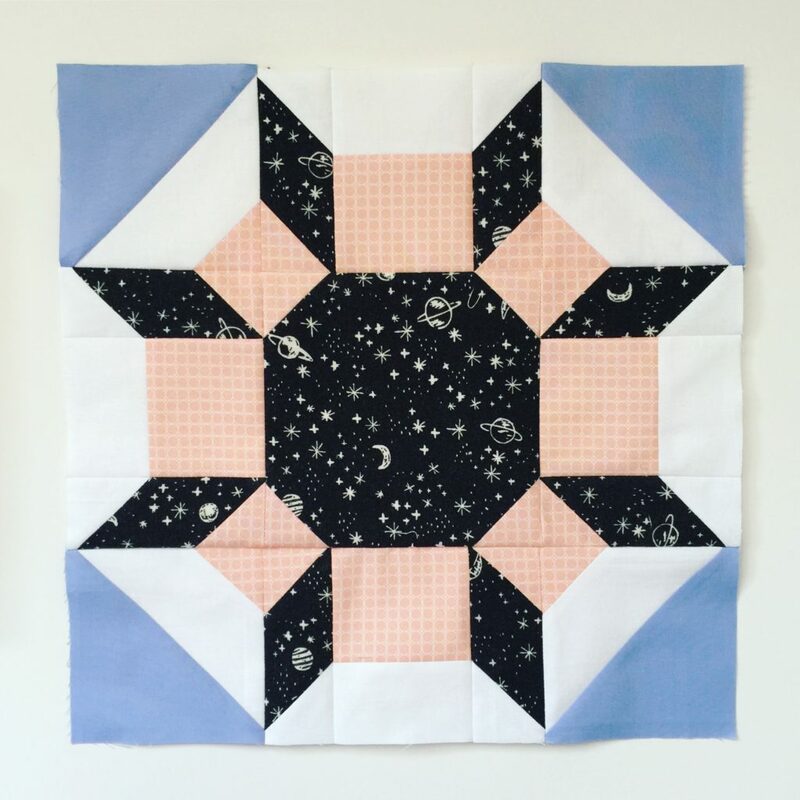 So when Alyce of Blossom Heart Quilts opened up the doors to Beehive sign-ups I jumped at the chance. She hooked me up with a fantastic group of Canadian ladies and now we are into our second year. I thought that this would be a good time to share some of the fun blocks that have come out of our little collective. 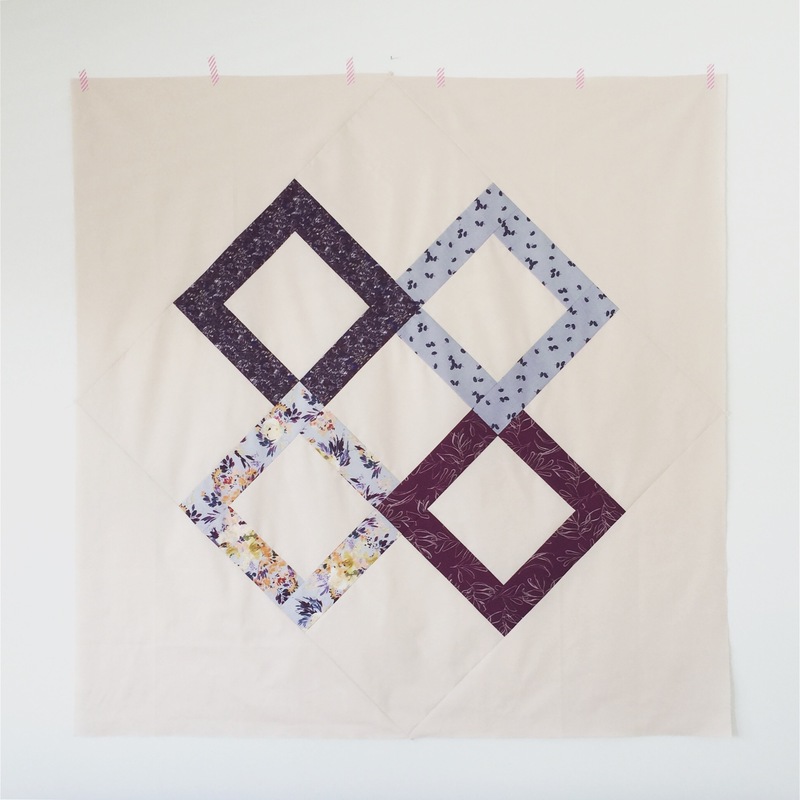 I’m going to focus on three specific patterns, and these are all patterns and tutorials you can find for free (as part of a year’s worth of modern quilt block patterns suitable for quilting bees) on Alyce’s Bee Hive pages. 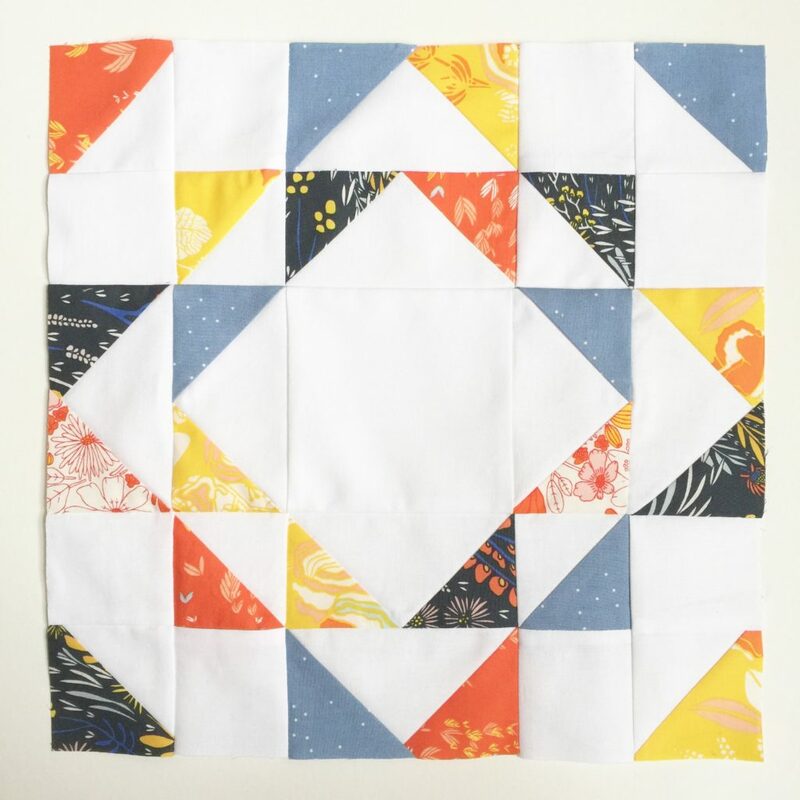 First up is the Ripples Block. This lovely block is designed by Angie of Gnome Angel (and I have it on good authority that she will release this as a full quilt pattern in the near future, so keep your eyes peeled for that). As you can see your colour choices can really change the look of the block – I also recommend taking a look at some of the completed tops on Instagram, the ripple effect is very striking when the blocks are all together. Ripples was our first “repeat request” to the group so you know it’s a good one. 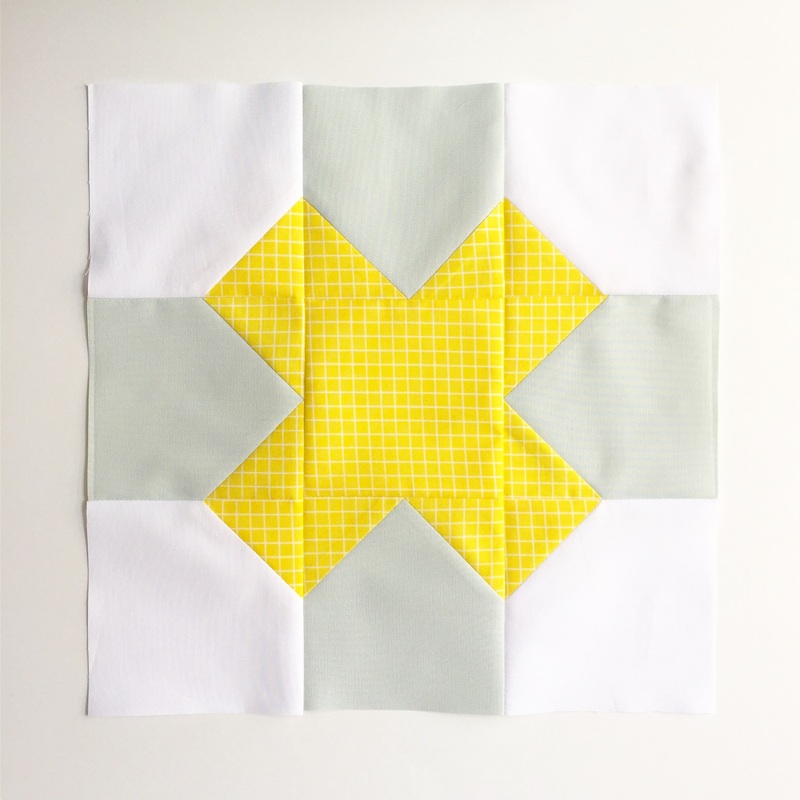 Next up is the Tic Tac Toe block, designed by Alyce. 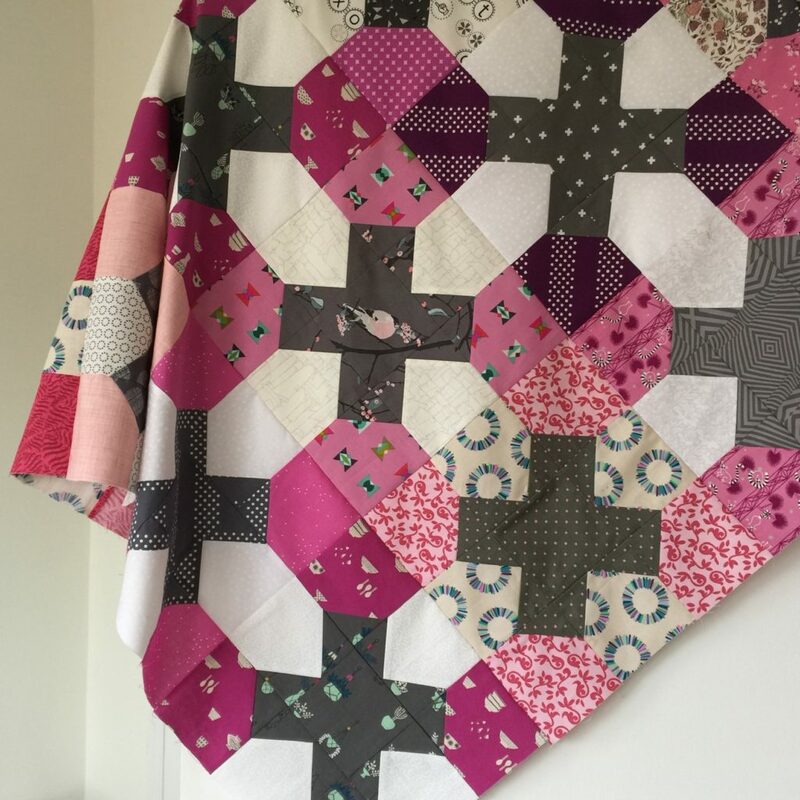 In my first stint as queen bee last year I requested this block in white or low volume, dark grey, and pinks/purples. This past week I got them all sewn together in a top and I’m so happy with the way it turned out. Here’s a version we made for another bee member this year. 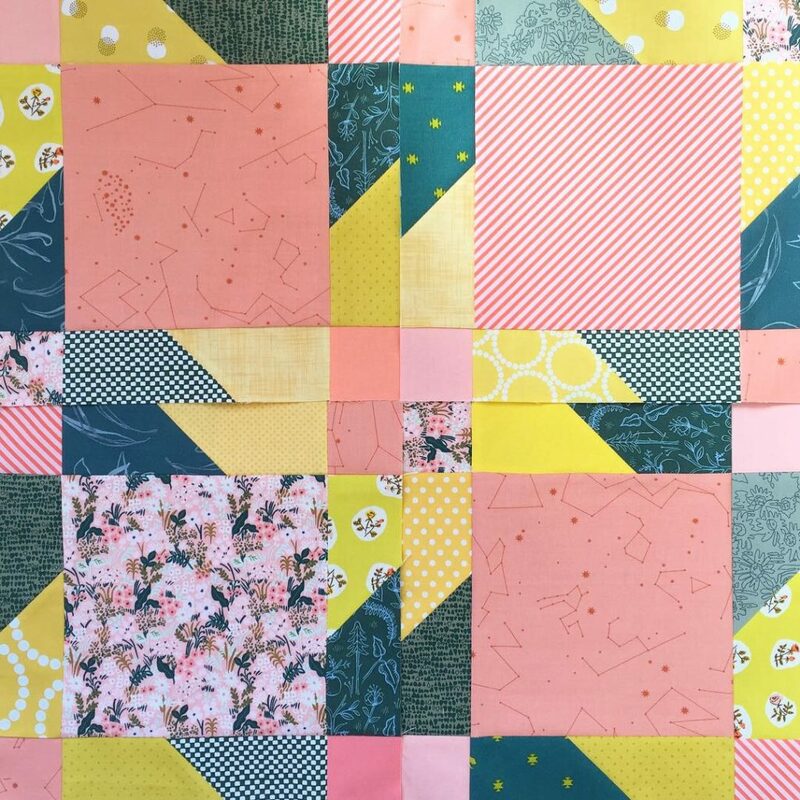 By switching up the location of the white/background fabric you almost get a whole different quilt. So far I would rate this one of the easiest and quickest of all the blocks we’ve tried, so if you’re after something simple the Tic Toc Toe block is a good bet. 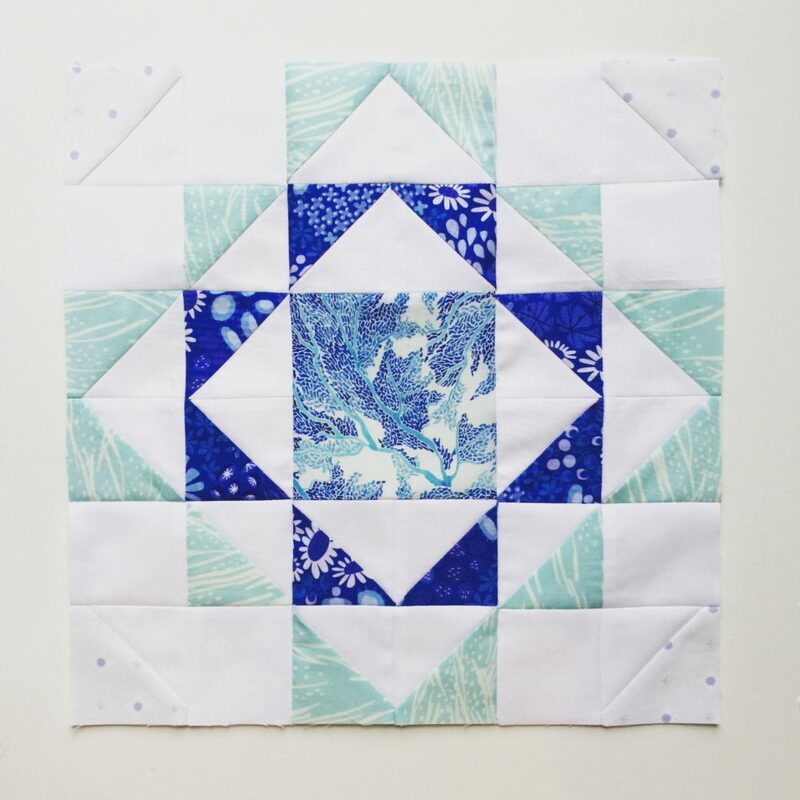 Last but not least, the Jagged Little Pill block by Molli Sparkles. This is a minimal design that packs a lot of punch once you start grouping them together. This was the block I chose this year. I tried to go for a saturated look by using using pine, peach and mustard to fill up every possible space, without any kind of light/neutral background colour. One final note: it seems obvious to me now that of course I could have just started my own bee back in those early days, so that’s my advice to you if you can’t wait for an organized program like Alyce’s bee hives to start up again … get a few online pals together and get the ball rolling! 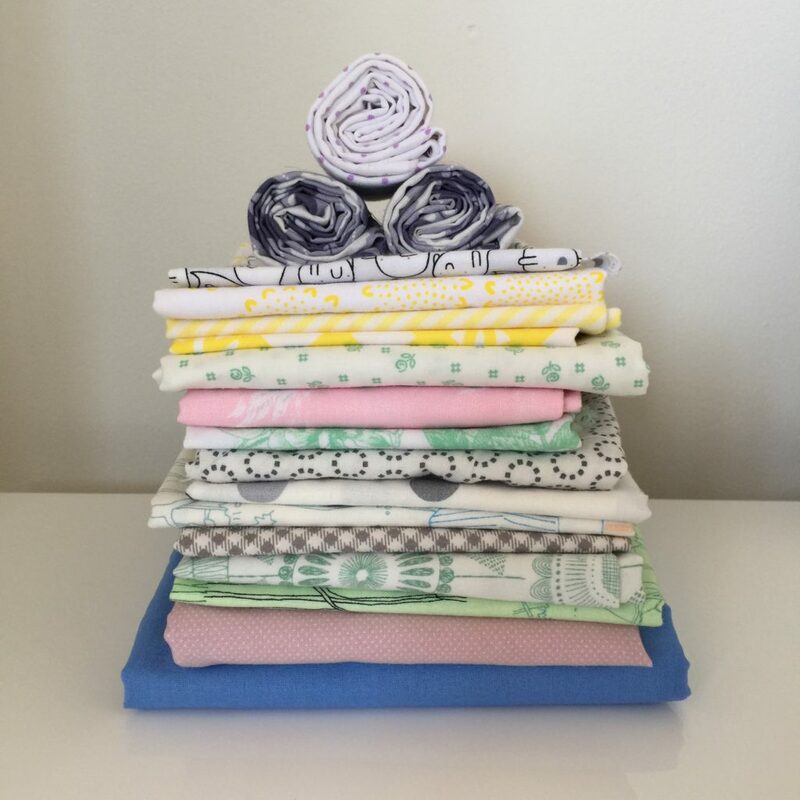 Some musings on my fabric stash today … feel free to scroll ahead for pictures of some fun projects if that’s more your thing ..
Hope this post finds you well wherever you are. I’m in a wintry part of the world and it’s been a bit of a wild one. I heard someone say a few days ago that it was “the last cold day”, which sounds too good to be true! I actually love snow and cold weather, we’re just due for some change. And speaking of change: I’m doing a few things differently these days with respect to my fabric stash. Do you have rules for yourself around how and why you acquire fabric, or is it more of a free for all? I have to admit, I’ve been more or less in the ‘free for all’ category since I started sewing. My stash isn’t out of control, but the money going out the door last year was enough to give me pause. I needed a strategy, so I chose a reasonable upper cap for my monthly spending and dove in. The amount has to cover all of my extras – clothing, books (arguably not an extra but I’m trying to build a habit here), fabric, notions, everything – so trust me when I say that I’m thinking very carefully before every purchase! Once I started down this path, something interesting happened. Rather than feeling limited or deprived by these constraints, I felt … free! 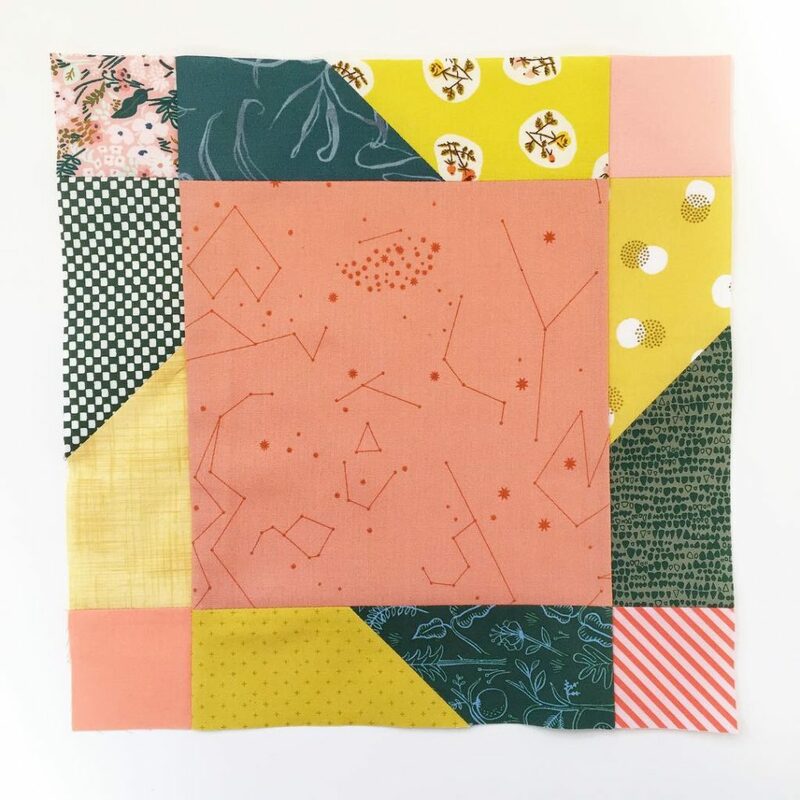 Suddenly there is no need to justify (if only to myself) starting a new quilt, because every pattern I choose now is picked specifically because I’ve determined ahead of time that it will eat up a nice chunk of my fabric stash. Case in point: the Shimmer block-along. 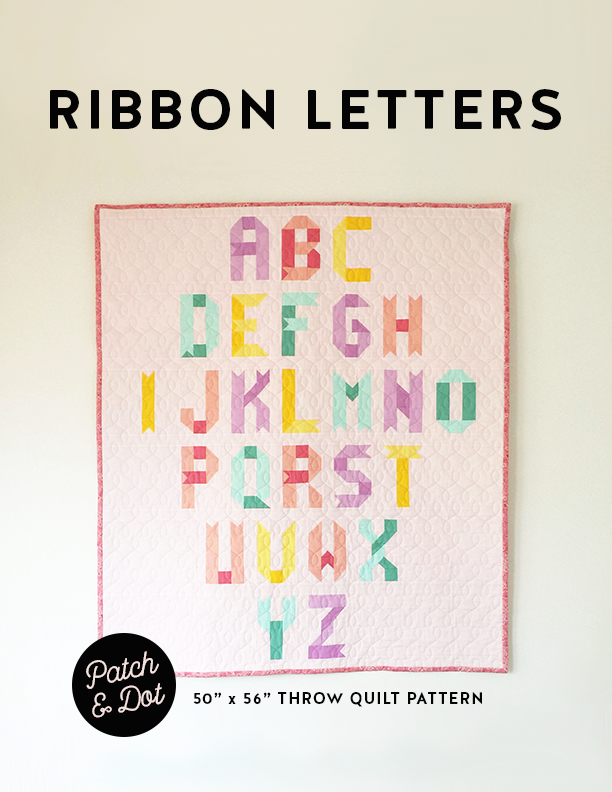 This pattern by Allison of Cluck Cluck Sew has been on my to-do list for ever. 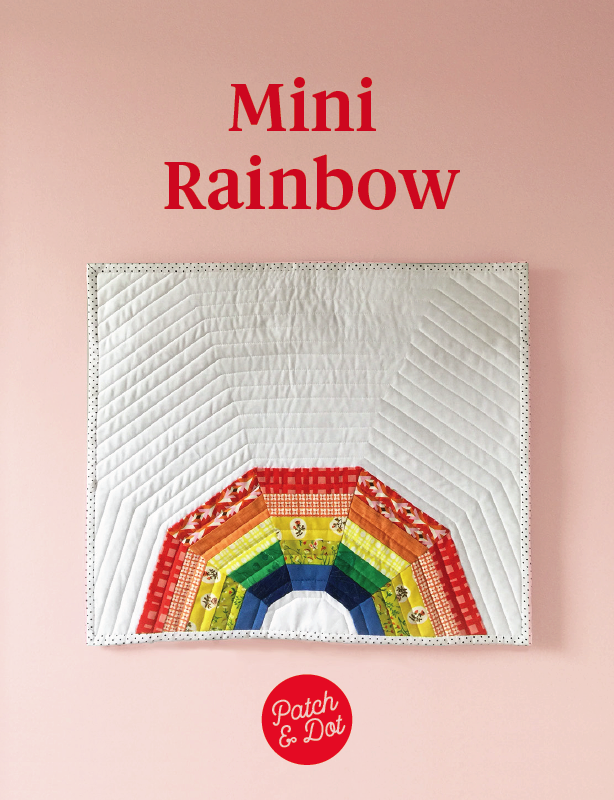 I chose my colour scheme based on “what I have the most of” and the queen size because it will eat up a whopping 49 fat quarters and then some. Here’s my sample block.